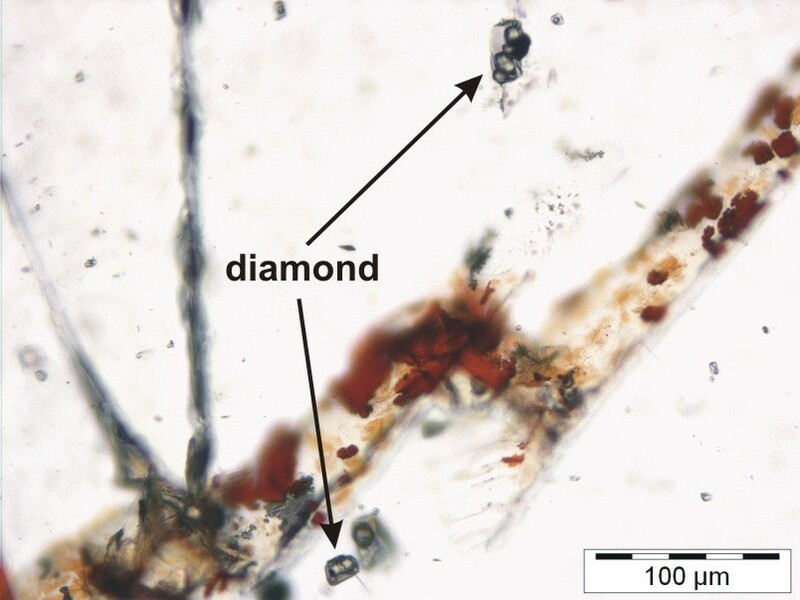 Species found as regular constituents of minute polyphase inclusions in garnet of ultrahigh-pressure metamorphic gneiss lenses within migmatites of the gneiss-eclogite unit. 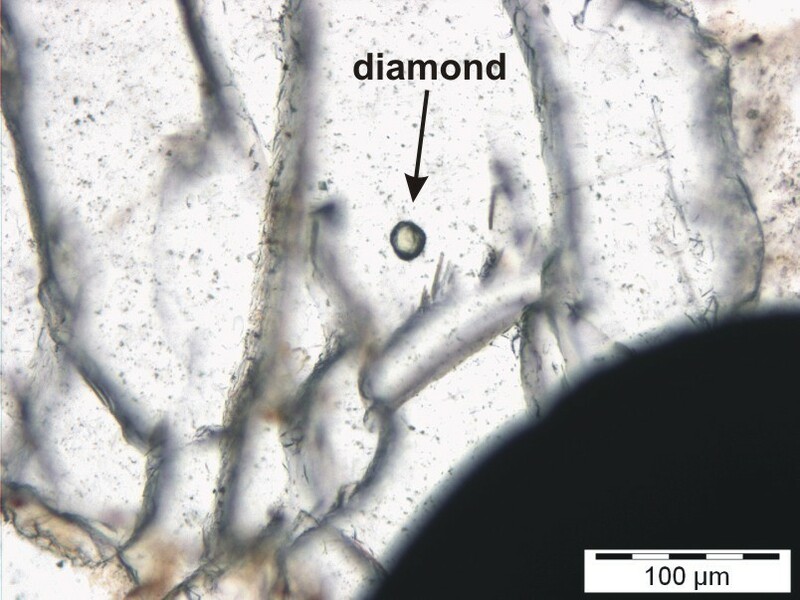 - Stöckhert, Bernard, Johannes Duyster, Claudia Trepmann, Hans-Joachim Massonne (2001): Microdiamond daughter crystals precipitated from supercritical COH & plus; silicate fluids included in garnet, Erzgebirge, Germany. Geology: 29(5): 391-394.